• An Ideal Sprayer for pest control in all crops and vegetables. • Maintenance free big sized powerful battery - 12V/14Ah. • Mini diaphragm pump - 110 PSI. • Telescopic (expandable) lance. 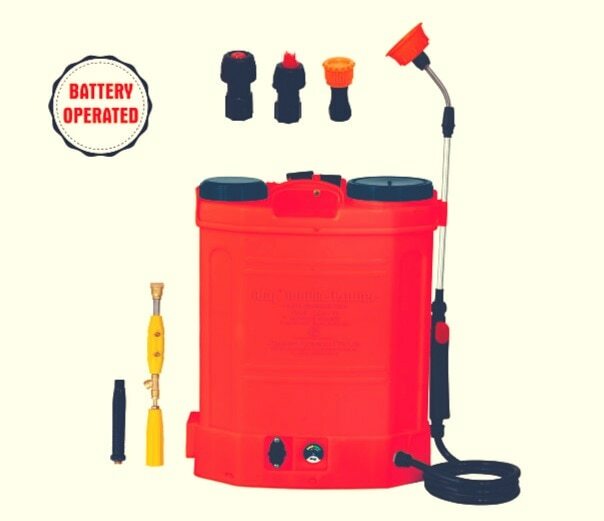 • Battery works for spraying 450-480 Litre (28-30 Pumps), solution at fully charged once. • One Delivery Line assy and Hi-jet Gun.